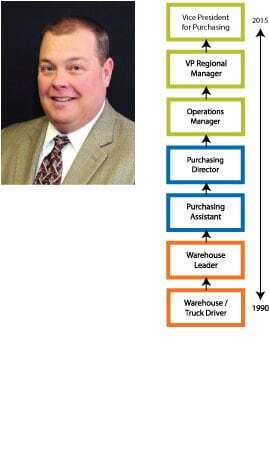 It doesn’t get more interesting than the path Steve Blust took to the role of Vice President Purchasing. He started as a truck driver and moved into the role of a warehouse leader. His experience and knowledge of the entirety of the business made him an ideal candidate to step up and grow TP Mechanical in Kentucky, leading offices in both Louisville and Lexington. Then, his knowledge and time with TP moved him into eventually serving the entire company as the head of purchasing.